Ukraine is in the news again, this time for its panicked response to a flu epidemic that has claimed over three hundred lives. In many countries, this would simply be a matter of public health, but in Ukraine, where politics is polarized by culture and region, an epidemic is another excuse for partisan wrangling. President Viktor Yushchenko is engaged in an escalating verbal battle with Prime Minister Yulia Tymoshenko, a onetime ally now angling for his job. A presidential election is scheduled for January 17. The candidates have wasted no time spinning the crisis to their political advantage, with Yushchenko accusing Tymoshenko of “criminal negligence” and Tymoshenko staging photo ops wearing a surgical mask. Kiev’s political circus is a rebuke to the bold ambitions the U.S. foreign-policy establishment once invested in Europe’s second-largest country. 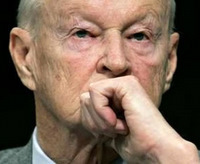 In 1997, Zbigniew Brzezinski identified Ukraine as one of four geopolitical “pivots,” the fate of which would determine America’s success in dominating the Eurasian hinterland. In the ensuing decade, Brzezinski’s argument gained a following in Washington, as the Bush administration made efforts to court Ukraine away from Russia and toward membership in NATO and the European Union. The 2004 Orange Revolution (in which the Western-leaning Yushchenko triumphed in a disputed election with considerable support from American NGOs) ushered in a period of unprecedented tension between Kiev and Moscow. This manifested itself in belligerent rhetoric, annual crises over gas pipelines, and nervous talk of a Russian-backed separatist movement in Ukraine’s strategically vital Crimean peninsula. But in January, all of that may come to an end. The outcome of the election is uncertain, but one thing is clear: Yushchenko, with his approval rating hovering around 3 percent, is finished. And whether the next president is front-runner Viktor Yanukovich (the Kremlin’s preferred candidate from 2004) or the wily pragmatist Tymoshenko, Ukraine’s relations with Russia promise to become less strained. Although there are real differences between the two leading candidates — Tymoshenko is more amenable to the Ukrainian nationalist constituencies that backed the Orange Revolution, whereas Yanukovich is the candidate of the Russian-speaking east and south—on the major international issues facing Ukraine, there is a rough consensus. Both seek rapprochement with Russia, membership in the European Union, and a constructive but necessarily limited transatlantic relationship. Despite Brzezinski’s role as an adviser to then-candidate Barack Obama in 2008, the president has not treated Ukraine as a pivotal country during his first year in office. Although Kiev received a visit from Vice President Biden in July, there has been very little substantive engagement with the Ukrainian government, and while support for NATO expansion remains nominal, it is no longer a priority. This is just as well; NATO membership has never been popular in Ukraine itself, while in Russia it is seen as an unacceptable provocation, and therefore counterproductive to Obama’s goal of a “reset” in U.S.-Russian relations. So where to now? Brzezinski was half-right: Ukraine is a pivotal country... for Russia. To Russia, Ukraine is a naval base, a gas pipeline, a strategic buffer, a captive market, a holiday destination and a point of national pride. If the goal of American foreign policy is to antagonize Russia, then Ukraine is critical to the success of such a policy. But the Obama administration seems to believe sincerely that this is not America’s goal, and in the context of cooperative engagement with Russia, the American interest in Ukraine becomes much less obvious. Obama is correct not to view relations with Russia as a zero-sum game, but Russia will view them that way regardless. Obama may not intend to concede Ukraine to Russia’s sphere of influence, or even to acknowledge the existence of such a sphere, but Russia will perceive any U.S. disengagement from Ukraine as a concession. But the loss of face is well worth it. America’s main interest in Ukraine is stability. Every gas dispute between Moscow and Kiev is a nuisance to U.S. allies in Europe; a hot war over Crimea would paralyze diplomacy across the Continent; even the politicized response to the flu epidemic is a potential risk to neighboring countries, as Slovakia recently demonstrated by closing its border with Ukraine. In a country where half the population speaks Russian regularly, around two-thirds oppose NATO membership, and an overwhelming majority rejects Yushchenko’s governance, the United States should be mindful not to conflate Western-leaning politics with popular democratic legitimacy. That would be a repeat of the tragic mistake Washington made in the 1990s by supporting the despised Boris Yeltsin in Russia. With Russia, Washington interpreted “democracy” to mean victory for the most pro-U.S. candidate. 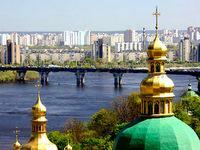 With Ukraine, there is a chance to do better. America should embrace whichever candidate prevails in January, and should concentrate on cementing the Orange Revolution’s most positive legacies: a freer press, greater access to Ukraine’s markets and increased ease of travel. Certainly Ukraine, whose economy has contracted by more than a third in the past year, could use some business. Likewise, support for eventual accession to the E.U. is conducive to this commercial interest, popular among Ukrainians and not unduly threatening to Russia. But for the foreseeable future, Washington should quietly abandon its goal of bringing Ukraine into NATO, a plan guaranteed to provoke conflict with Russia and political paralysis within Ukraine itself. More limited forms of engagement, such as the just-announced creation of a joint Polish-Lithuanian-Ukrainian peacekeeping brigade, will allow Washington and its allies to cooperate militarily with Kiev without directly disturbing Moscow. Finally, policy makers should recall that Ukraine’s GDP growth since 1991 has tracked extremely closely to Russia’s, rising and falling at comparable rates nearly every year. Whether or not Ukraine is formally part of Russia’s sphere of influence, it is inseparable from its largest neighbor, and any realistic U.S. policy toward Ukraine must take that into account. If U.S.-Russia relations are destined to be hostile, then Ukraine may indeed be a pivot, but in the context of a “reset,” Ukraine would better serve as a bridge. David S. Plotz is a doctoral candidate at the University of Chicago and an intern at the Nixon Center.